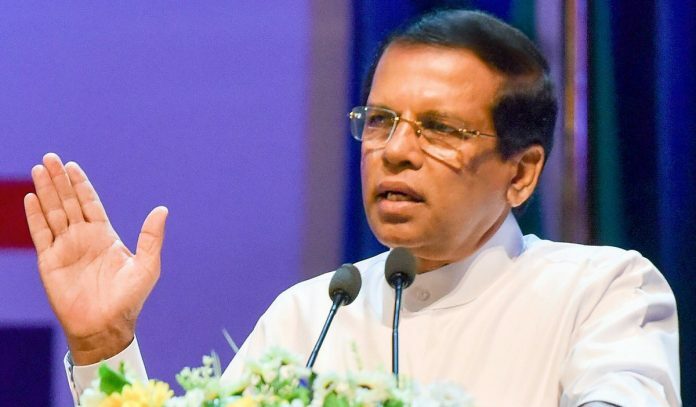 President Sirisena’s close aide Piyadasa quashed rumours that Sirisena may opt for a snap poll with a dissolution of parliament to end the political crisis in Sri Lanka. “No, no there won’t be a dissolution of parliament or a referendum,” Rohana Lakshman Piyadasa, the general secretary of President Sirisena’s Sri Lanka Freedom Party (SLFP), told the party’s central committee meeting Thursday night. Wickremesinghe, however, claims he is still the legally appointed prime minister. His request for a floor test to prove his majority in the House has been turned down and Sirisena has suspended parliament till 14 November- a move believed to allow Rajapaksa muster the 113 seats required in the 225-member House. The assembly speaker wants the floor test to take place on 14 November. Parliament’s suspension by the president has come under increasing criticism by the international community. The Commonwealth Parliamentary Association’s executive committee said it was watching with concern the ongoing situation in Sri Lanka. “The CPA asserts the importance of upholding the rule of law as well as the essential role of the parliament of Sri Lanka as defined in and protected by the Constitution of Sri Lanka,” it said in a statement. “Any further delays could damage Sri Lanka’s international reputation and deter investors,” it warned.